Android OS gives you a whole lot of options and freedom even when it comes to installing Apps. Aside from the Google playstore, you can download your apps from third party websites or even collect them from other Android users. While this might be a good thing, it also comes with its own disadvantages. 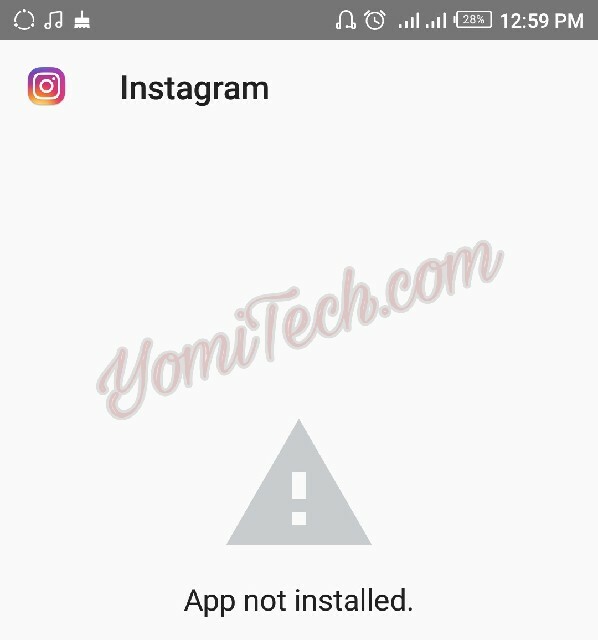 One of the most common problems you might encounter when side loading an Android app is the "App Not Installed" error message. In this post I will highlight most of the likely cause of this problem and possible solutions. App Not Compatible With Your Android Version: Most Android apps are designed to work for some specific Android versions. So if you still use an Android phone that runs on lower versions e.g Android 4.0 or below, then you might get this error message more often as many Android app developers have stopped support for some lower Android versions. Insufficient Storage: All Android app requires a certain amount of free storage space for the app to install. If your phone doesn't have enough free space then the app won't install. App Signature Conflict: Installing a modified version of an app already installed on your phone with the same signature can also cause this error. 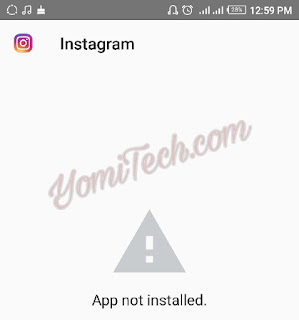 Wrong App Installation Location: For older Android phones that lets you chose your preferred app location, you might get this error message when you try to install an app meant for phone storage only on your SD card. Corrupt/Incomplete Apk File: Although you most times get a "parsing error" message when you try to install an incomplete Apk file. But sometimes, you might get "App Not Installed" error message when installing an incomplete or corrupt Apk file. Corrupt Storage (SD Card): This also has to do with older Android phones. If you try to install an Android app on a corrupt Micro SD card, you might get this error message. Install Compatible Apps: Always make sure you read app requirements before you try to install them on your phone. This will give you better knowledge of what the app requires and let you know if your phone is compatible. Free up Enough Space: Always make sure you have enough space on your phone before you try installing any app. Uninstalling unwanted apps can also help free more space. If you want to install a modified version of an already installed app on your phone, always make sure you uninstall the one on your phone first to avoid conflicting signature. Although newer Android versions only lets you install apps on your phone memory, older versions let you choose your preferred Install location. It's advisable you let the system decide the best location or you select phone storage. Download Complete Apk Files and only From Trusted Sites: It's advisable you always download your Android apps from trusted websites and also make sure the app downloads completely before you try installing. Get a Good MicroSD Card When not Installing on Phone Memory: Although it's most advisable you save all your apps on your phone memory, but if you must install apps on memory card probably due to low space, then its advisable you get a good SD card. Those are some of the most likely cause of the 'App not installed" error message on Android and possible solutions. If you think I missed out any, feel free to drop it in the comment section below. Also don't forget to take a minute to kindly share this post on your social media platforms.